In the past several decades, there has been a substantial increase in the availability of in vitro test methods for evaluating chemical safety in an international regulatory context. To foster confidence in in vitro alternatives to animal testing, the test methods and conditions under which data are generated must adhere to defined standards to ensure resulting data are rigorous and reproducible. Good In vitro Method Practices (GIVIMP) for the development and implementation of in vitro methods for regulatory use in human safety assessment aims to help reduce the uncertainties in cell and tissue-based in vitro method derived chemical safety predictions. GIVIMP provides guidance for test method developers and end users of resulting data on key elementes of in vitro methods. 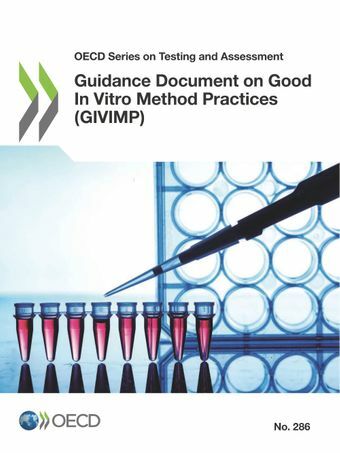 GIVIMP tackles ten important aspects related to in vitro work: (1) Roles and responsibilities, (2) Quality considerations, (3) Facilities (4) Apparatus, material and reagents, (5) Test systems, (6) Test and reference/control items, (7) Standard operating procedures (SOPs), (8) Performance of the method, (9) Reporting of results, (10) Storage and retention of records and materials.